Tell us your details and we’ll personalise the front of your post with your name, date, time and a thank you message for your guests. Where ever your big day is we will deliver to you the day before and collect the day after. We aim to make your day as stress free as possible. 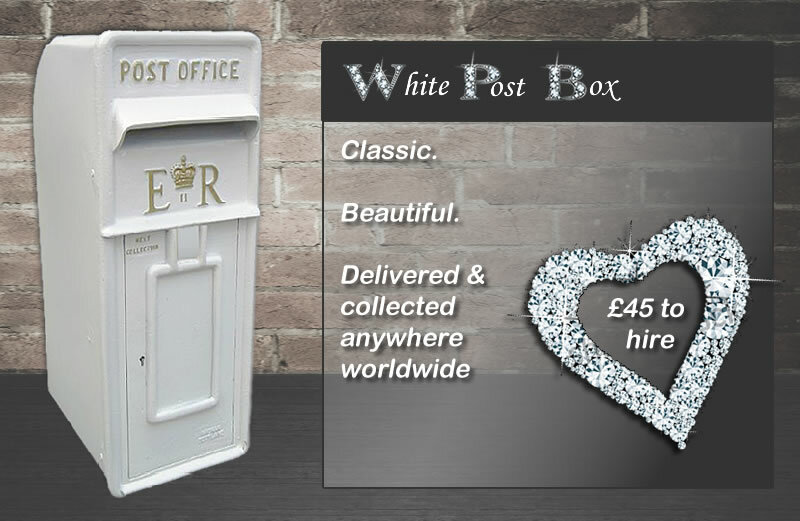 Secure your post box for your big day today by filling in our reservation form below. All we need is a £20 deposit!